1. 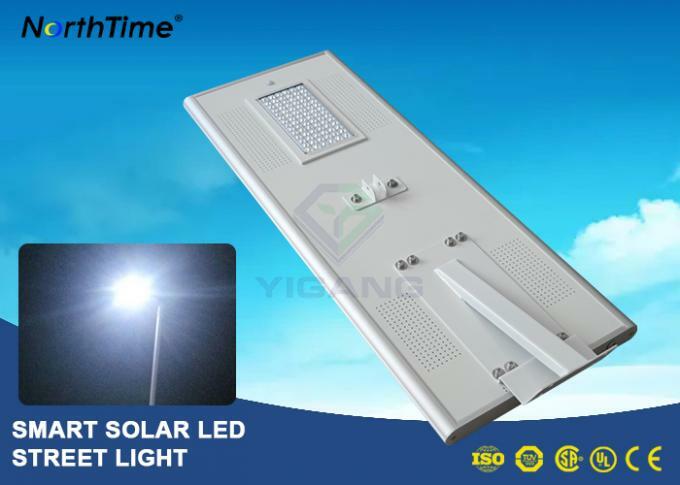 LED solar street light relies on solar energy, which is clean, endless and environment-friendly. 2. The system is mainly composed of solar panel, light source, controller and free-maintenance battery. 3. In daytime, when there is sunshine, the solar panel can convert the solar energy to electric energy and store it in the battery. At night or rainy or cloud condition, the battery shall supply power for normal lighting. 4. The controller can judge the brightness of daylight and automatically switch on the light. The whole process is operating in completely automatic mode, without human action. Gardens, Streets, residential, industrial zone roads, square and park, school, campus, farm, villas, etc. 2. Use lithium battery to prolong product lifetime and protect environment. 10. Rust-proof, dustproof and IP65 waterproof Safety and reliability. 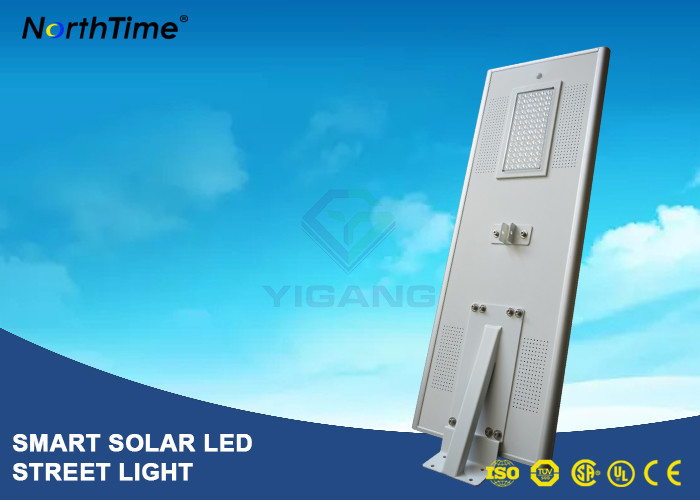 When PIR motion sensor of the integrated solar street light is detected, the super bright LED's increase in brightness to provide an abundance of extra lighting for anyone in the area. After 30 seconds or when PIR motion sensor is no longer detected, the light drops down in brightness to conserve power. 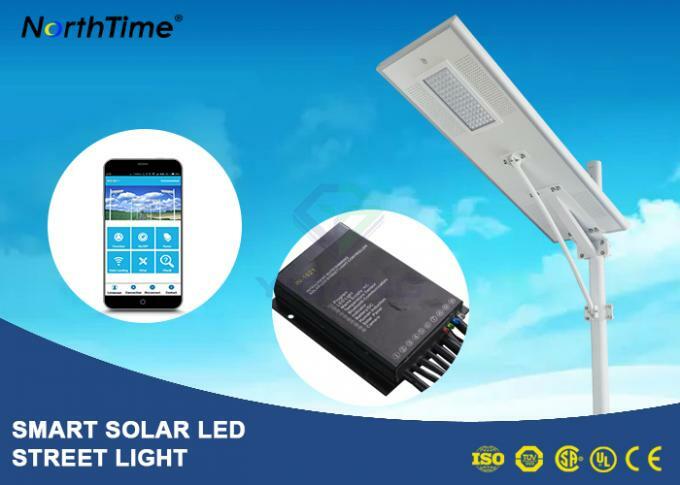 This intelligent feature allows the Solar LED street light to save power when no one is in range or utilizing the lamp, meaning a much longer run time than you would expect from a similar size solar lighting. The motion sensor is the practical way to enjoy brighter than normal light when extra lighting is needed. 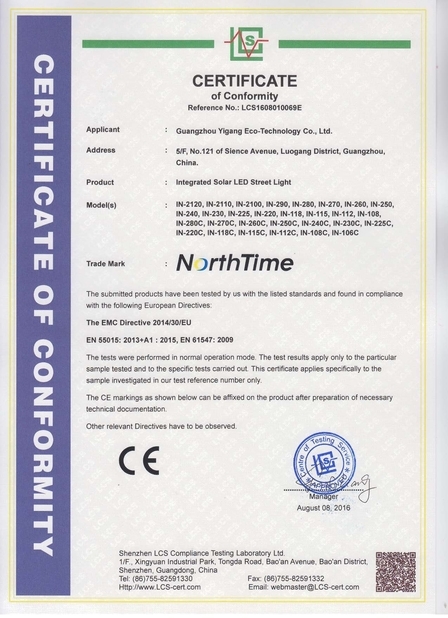 (3) Each lamp should pass all these QC procedures before shipping to customer. Within our warranty time, we will responsible for problem parts. (3) Payment Condition: 30% deposit in advance, 70% balance before shipment. (4) Delivery Time: 3-5 days for sample order, 7-10 days for production order. (5) Packing: Neutral Carton, Wooden case for large size. (6) Shipping: By sea, by air parcel, by express delivery. How to choose models from Yigang? 1) the power of your required LED light? 2) the height of the pole? 3) how many hours/night the light can work? 1) What's the width of road? 2) What's your request on the power of the light source? Please choose your favorite model from our website or the catalogue. 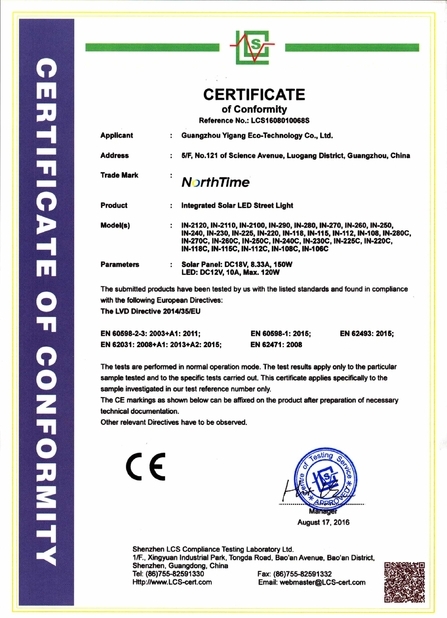 Any needs or problems, welcome to send email for us and get samples for testing.